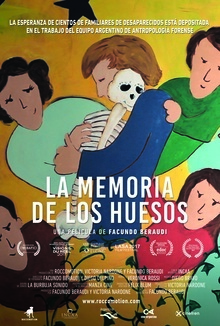 Hundreds of the victims’ relatives cling to hope by placing their trust in the Equipo Argentino de Antropología Forense (EAAF “Argentine Forensic Anthropology Team”), which —for 30 years now— has been recovering and identifying the remains of disappeared people in Argentina and in more than thirty countries. This quest cannot be put at an end but by giving back the remains to the relatives, so they may try to close some open wounds. La esperanza de cientos de familiares de víctimas de desapariciones forzadas está depositada en el trabajo del Equipo Argentino de Antropología Forense, que lleva 30 años recuperando e identificando los restos de desaparecidos en Argentina y en más de treinta países. Nada salvo la restitución de los restos a sus familiares puede dar fin a esta búsqueda, para así intentar cerrar las heridas abiertas.